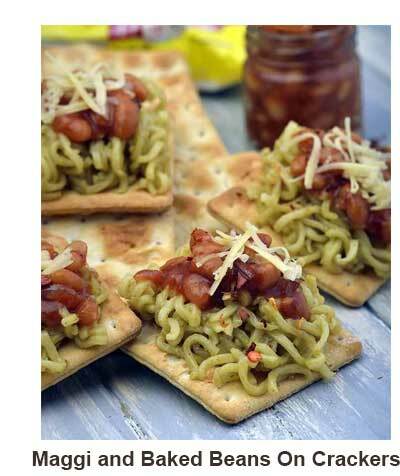 Maggi is a popular instant noodle accompanied with a packet of flavoring (known as tastemaker). It is very simple to prepare and is a famous bachelor meal. It is easy to store, has a pretty long shelf life so, you can carry it while travelling because all you would need is water to cook it quickly. Maggi is a savior when hunger strikes suddenly. 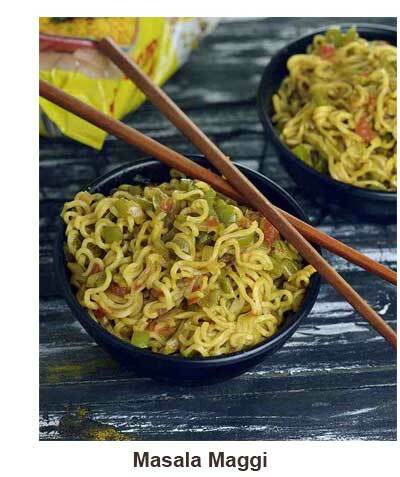 Be it midnight snack or after school/work meal, a bowl of piping hot Maggi is enjoyed by both adults and kids. It is enjoyed the most when you are on the top of a hill because a cup of tea and Maggi is all you need to make that experience priceless. 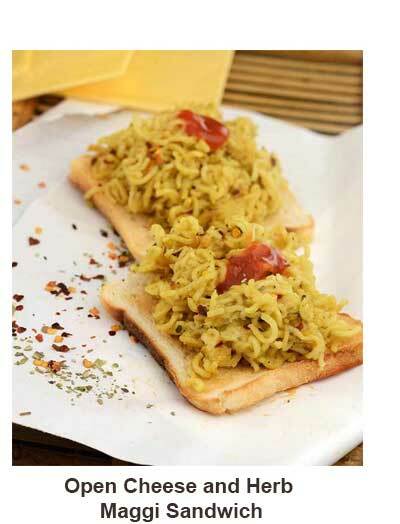 In India, you will find taapri selling Maggi with chai, stuffed paratha on hilltops. Days when you have a tiring day at work, Maggi acts like comfort food for working couples. Plain Maggi noodles or one with a sprinkle of grated cheese or dash of finely chopped green chilly is the simplest way to enhance its flavor. Everyone has their own versions of transforming these instant noodles. 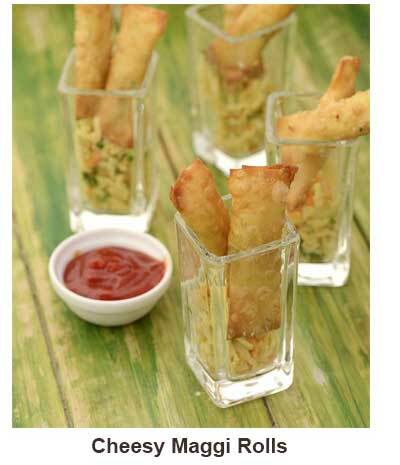 You can even enhance it by adding a myriad of colorful vegetables to make Vegetable Maggi. 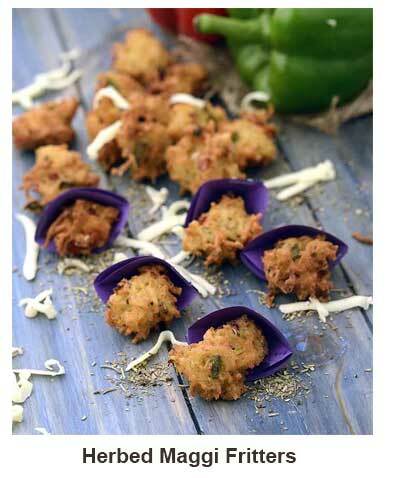 You can also pack it in a tiffin box for your kid’s lunch break. 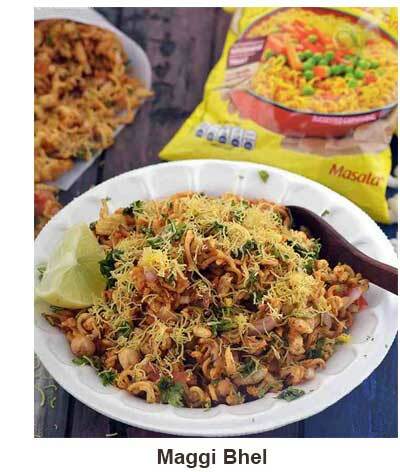 Maggi is also an excellent base for snacks. 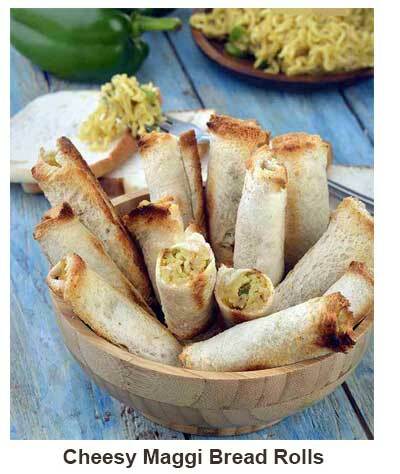 You can make open toast, pakoda, finger foods like bread rolls using it.I am a huge fan of Maggi and all things Maggi. 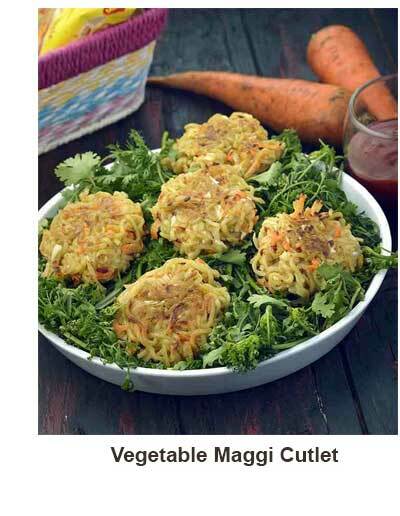 Hope you enjoyed our collection of unique recipes made usingMaggi which will help you satiate all sorts of Maggi cravings.